Interest in Knitting and yarn seems to continue to grow : Booths selling yarns were like eye candy and my daughter tells me that she has no clue what is going on but SO many of her (30 something) friends are learning to knit & crochet. She does not “get it” but thinks it is nonetheless interesting that many younger folk she knows are all over these crafts. I know I am (although I am not in the 30-something group!) …. I recently knitted my first pair of gloves (with fingers!) and am onto trying my first pair of knitted socks. 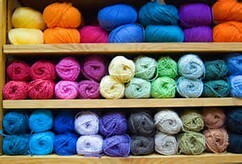 Knitting is my TV therapy…….I listen to TV & knit ……do you do the same? I am so not an advanced knitter …..nothing like my friends at Haus of Stitches in Saskatchewan who hold regular Knitting camps and produce incredible knitted items I can only just gaze at……but I do enjoy simple knitting and it does wonders to slow down my frenetic pace for a few minutes! Digital cutters are very HOT: There are many brands on the market but we are exceptionally excited about our newest & hottest item: the Artistic Edge 15 Digital Cutter. 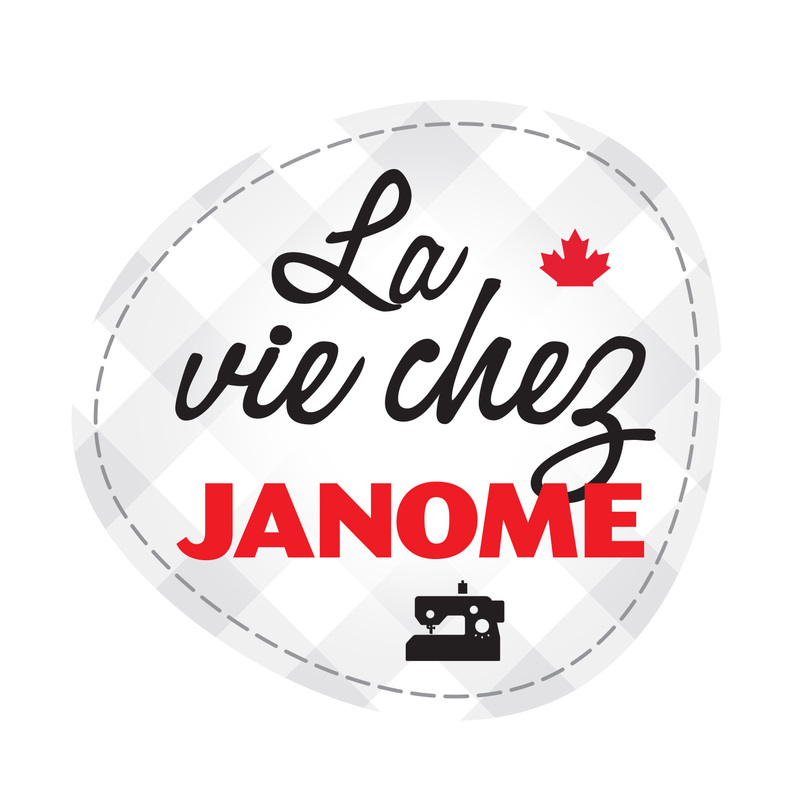 We will be showing this at the Victoria Show to start with…….and also may be seen at selected Janome & Elna dealers across Canada. Please be patient……we only launched this a week or 2 back so our dealers are busy getting theirs into their stores & learning how they work to show you. 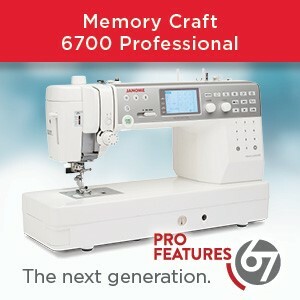 But do check out You Tube & Artistic sewing suite for more exciting info. in the meanwhile. BTW – there are masses of video’s on many different aspects of our Artistic Edge cutters – check it out. And please note that we only carry the Artistic Edge 15 inch in Canada. 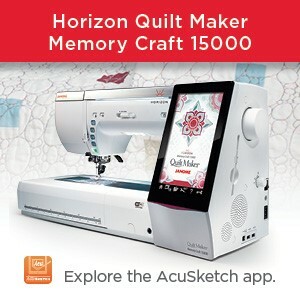 You gotta see this to believe why we are so excited……think multiple applications from cutting card stock, vinyl, fabric, and much more for quilting, home decorating, weddings, parties, scrapbooking & card making…….man alive the sky is the limit with this great new addition to our sewing & craft rooms. Coming soon: more info and pics of what this Artistic Edge cutter can do. 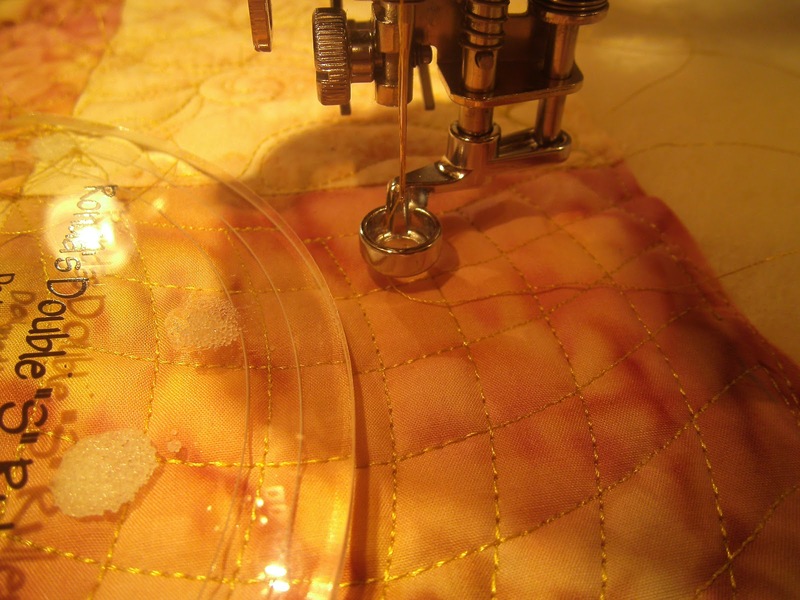 Quilting with long arm rulers on regular sewing machines & sit down quilters is red hot: I attended a class recently on how to use rulers on a sit down free motion machine……it was great as I wanted to get more into this. Classes on this topic generally sell out within minutes or hours of bookings going live……and I’m talking about here in Canada, the USA, Australia, the UK & Russia…..it is very hot everywhere! 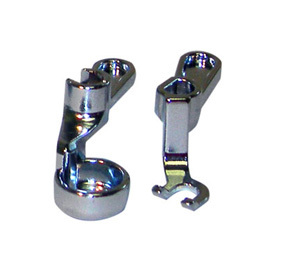 FREE MOTION FRAME QUILTING FEET SET for 1600P – the “thick lip” foot is the one on the left. I refer you to previous blog posts on janomelife where we talked about the “ruler” foot and how we are ideally positioned at Janome to be able to use a special foot with a “thick lip” for quilting up against long arm rulers. We have had this foot for many years so we are way ahead of the game! Just put ruler foot in the search box on this blog to find the previous post. Here is the link directly to the post. 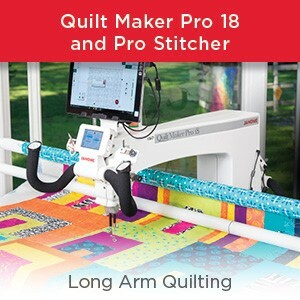 Have our awesome Artistic SD18 sit down quilter quilting machine?……..just buy the applicable 1/4 inch thick long arm rulers & start playing. 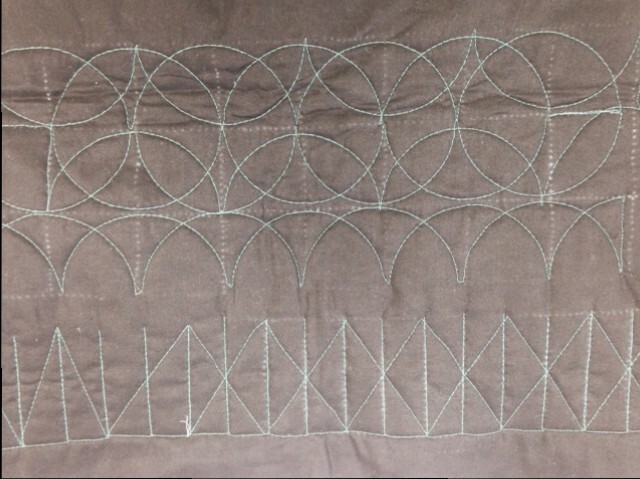 Wanna do this cool stuff with rulers on your Janome sewing machine? You need this Janome “ruler” foot and 1/4 inch thick rulers and then you too are set to go play. The foot you need depends on your Janome sewing machine: Is it low shank, high shank or 9mm? You need the Convertible Free motion foot set to start with & then you also need the “ruler” foot with the thick lip which attaches to the bottom of the Convertible Free motion foot applicable for your machine. Note the curved ruler & our JANOME “ruler” foot. Acknowledgements to Amy’s Free Motion Quilting Adventure for the pic. Convertible Free motion foot for 9mm machines – Part # 202146001. Some of our machines do have this foot standard with the machine so check your accessory box before you buy! Convertible Free motion foot set: Part # 767434005 is the 2 piece foot set for the Convertible Free Motion FRAME foot set for the Janome 1600P contains the “thick lip” foot which you need for ruler work…..simply buy this part # as well for any of the machines listed in #1 above & you are set. Please note that Janome is not recommending the use of this Convertible Free motion foot and “ruler foot” attachment for machine models which have automatic presser foot lift as there is a chance that the foot could go up too high in the auto presser foot lift function and cause damage. Warranty will not cover damage caused by using these feet on models with Auto presser foot lift: Janome Mc12000, Mc15000 and Skyline S7. 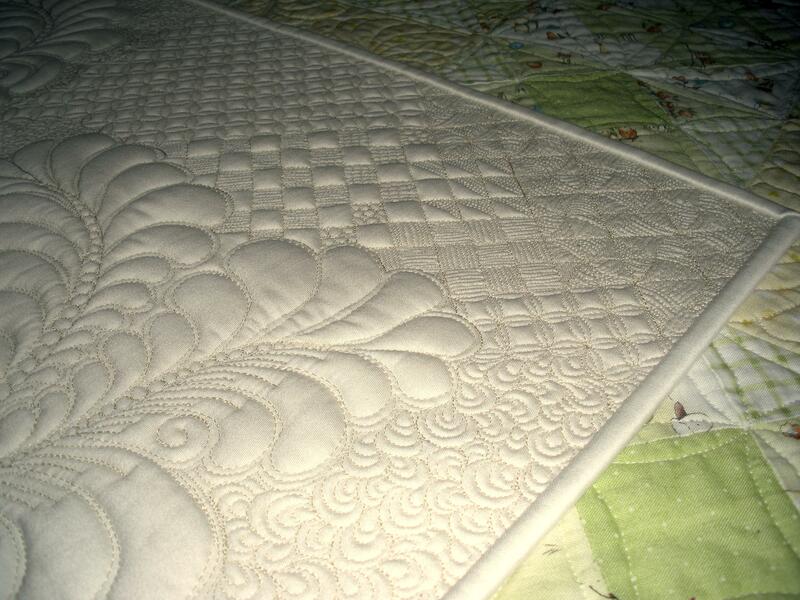 Notice the grid quilting in this exquisite sample by Amy of Langley. BC. Rulers make this possible! Third observation: it seems sewing shows in general are being as well attended as in previous years. Despite a perceived “hiccup”, I honestly think sewers, quilters and crafters are still on board and are still attending shows. I know what the attendance numbers at some of these shows are and the organizers continue to tell us that there is growth in attendance as well as vendor participation……..so all I can say is……….. “See you there!” And if you are not there……well, then, you are missing out on something many 10’s of 1000’s of other people wouldn’t miss for all the tea in China! Last thing: With the current exchange rate being what it is, makes attendance and spending at our Canadian shows a very attractive option. Hubby made the point before I headed south recently: “Remember Liz, don’t spend too much as you have to add 25% to whatever you buy!” Wise words and I spent very carefully. Restrained was the word. in Victoria, BC 13th & 14th March? in Abbotsford ,BC 27th & 28th March? in Toronto, Ontario 24th & 25th April? 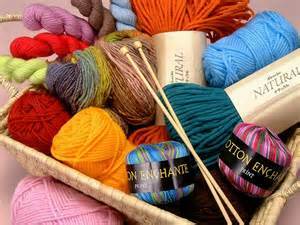 at Saskatchewan Stitches Conference 28 May – 7th June? in Lethbridge , Alberta 4-6th June? ….and more after the summer! SO……………will I see you at a show in the next while?? This entry was posted in Creative Festival, CreativFestival, Creativity, Janome Fun, Janome Sewing Machine and tagged ARTISTIC EDGE 15 DIGITAL CUTTER, BC SEWING SHOWS, DIGITAL CUTTERS, HAUS OF STITCHES IN SASKATCHEWAN, JANOME RULER FOOT, KNITTING & YARN, Quilt Canada 2015, QUILTING WITH RULERS, Saskatchewan Stitches Conference 2015, SEWING & QUILTING SHOWS IN CANADA 2015. Bookmark the permalink. 6 Responses to WHAT’S HAPPENING IN OUR SEWING WORLD THIS SPRING?? WHAT’S HOT? WHAT’S TRENDING? Definitely all hot topics for me! I’m soooo excited about ruler work on “regular” sit-down machines. And cutting machines, I had NO. IDEA. Janome had introduced one. How exciting. Can wait to hear more! Hi Liz This posting does’t seem to work. Links go to Janome but says the page cannot be found. Yes, I know, SORRY……been one of those weeks where I just did not get the post written in time. It is coming soon. I AM NOT ABLE TO GET INTO THE SITE TO SIGN UP FOR THE THREAD GIVE AWAY. The thread give-away was for February. It is done & won by a lady in Alberta. The March give-away was posted on Monday 2nd March and you enter by putting your details in the comment box at the bottom of THAT post. You do not need to get onto any website to enter. If you know about thegive-away, you are already on our janomelife blog. Hi Liza …… always a pleasure to hear from you ! Many thanks YaY !!! This will be an enormous help to me !